Stones have been used as a material to convey the eternal soul and spirit from ancient times, as typified in pyramids and Japanese tombs. 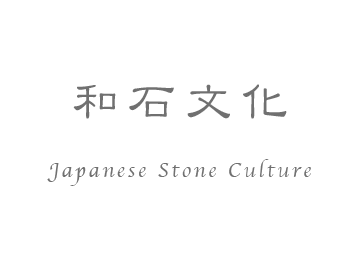 "Waseki" (Japanese stone) culture originated at the end of the 5th Century, using very hard Asuka-ishi (granodiorite stone), and other materials. This era of Japanese history is characterized by a particular type of burial mound that was popular at the time; one of the most unique features of Asuka is the multiple carved Asuka-ish with peculiar shapes in various areas of the region such as Masuda-no-iwafune and Sakafune-ish. Ishibutai tomb was constructed using Asuka-ish for Soga no Umako and is a very rare tomb whose inner stone chamber is revealed. 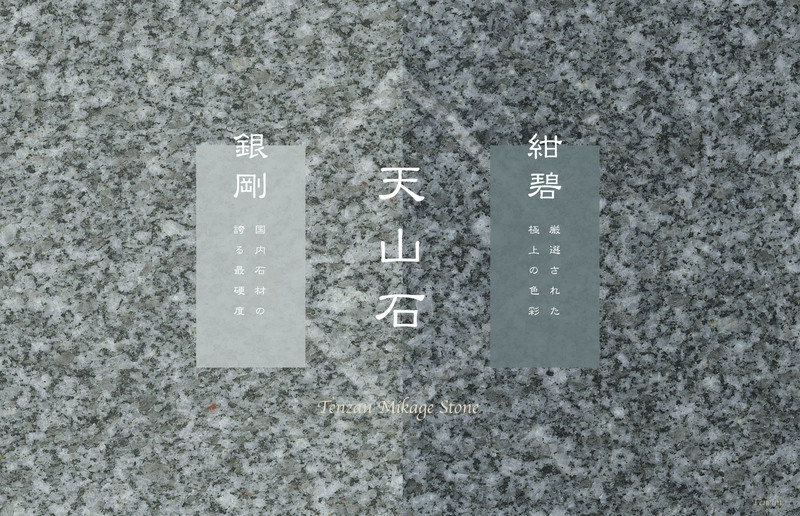 It is believed that the grave of Emperors Tenmu and Jito, who founded the state of Japan governed by law, has the same type of stone chamber. 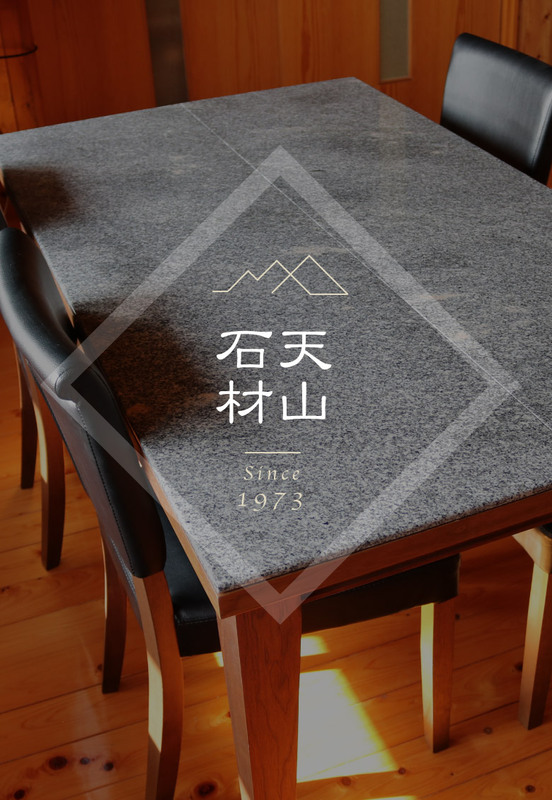 "Mikage-ish" (granite and granodiorite stone), which is representative of "Waseki", has the characteristics of water resistance and hardness, unlike marble. It has therefore been used as the material for conveying the soul of people and culture, and continues to be loved in Japan even now. "Waseki" has also been used as a material in Japanese gardens to express wabi-sabi aesthetics. 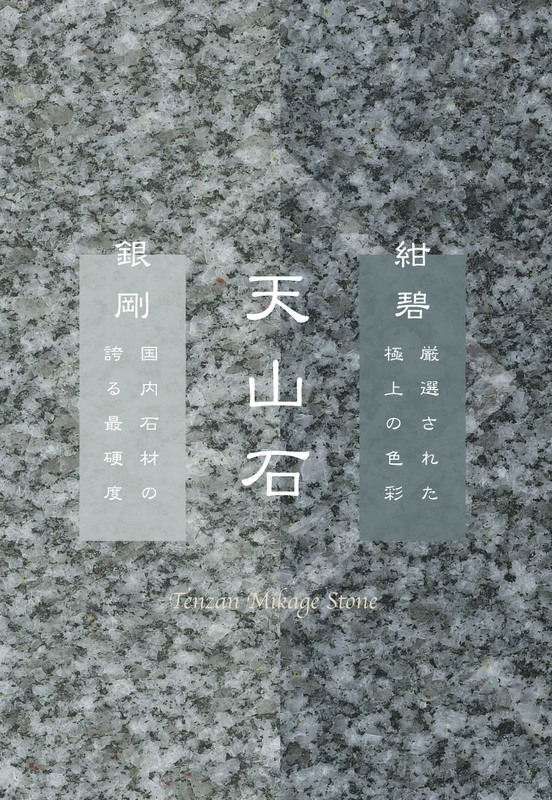 Tenzan Stone is made of the same granodiorite as Asuka-ishi, and is the only "Waseki" stone having the characteristics of both remarkable hardness and very low water absorption. 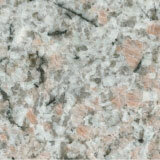 For this reason, it is believed that it is the most suitable material for tombs. 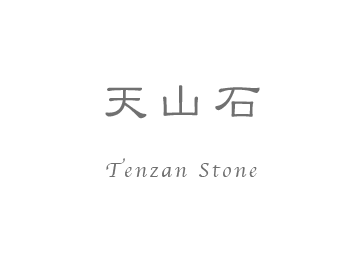 We promise to provide not only high quality Tenzan Stones which keep their eternal brilliance, but also the most design-rich “Waseki” in the world. 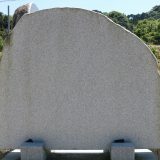 The premium Waseki used in Japan's No.1 gravestone, called "Konpeki" and "Gingoh", are available. 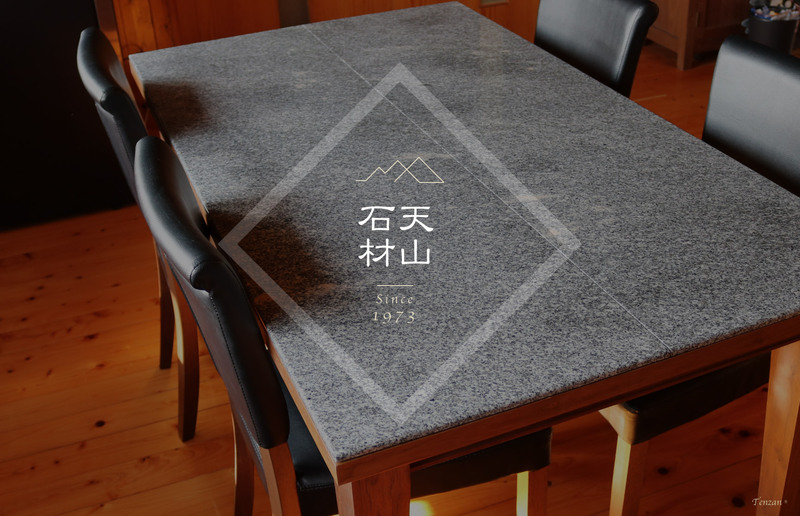 Rare design-rich Tenzan Stones called "Tenzan Shidare" and "Tenzan Sakura" are being developed as new concept products, such as table-tops, etc. 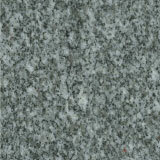 Tombs, Stone monuments, Gate posts, Small shrines, Tables, Stone plates, Slabs, Garden stones, etc.